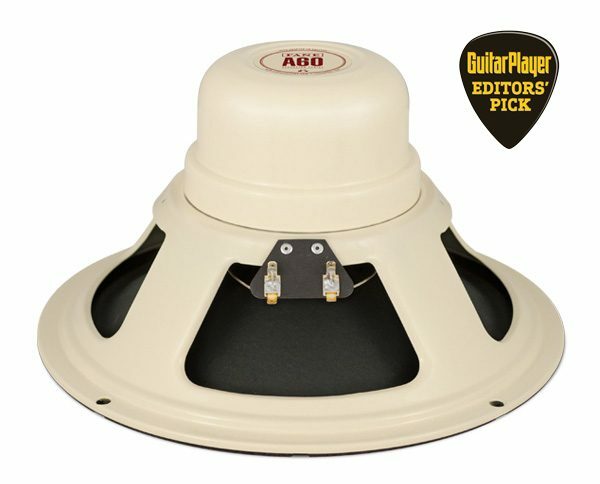 The A60 is a 12-inch, 60 watt, Classic Alnico driver. While its stunningly simple ‘old school’ visual statement will elicit an instant smile, you will find yourself unprepared for the sonic impact about to be experienced. The keyword here is balance. Every note and harmonic will immediately sound like it has been perfectly expressed. Providing a refined tonal ‘flavour’ of the Ascension F70, the A60’s detailed, shimmering top-end is never pointed and harsh. It’s clear distinct low end coupled with the characteristic Fane vocal mid-range will present the player with an entirely renewed appreciation of harmonic structure. Designed specifically to reveal all of the subtle nuances of a finely crafted tube amplifier, the A60 is tailor made for players looking to explore new sonic territory while enhancing an amplifiers signature voice.